Outdoor Restaurant Dining Table with Aluminum Edge Faux Teak Top and X Aluminum Base - 24", 32", or 36"
This restaurant dining table is rated for outdoor use making it a perfect addition to cafes, coffee shops, and hotel patios. 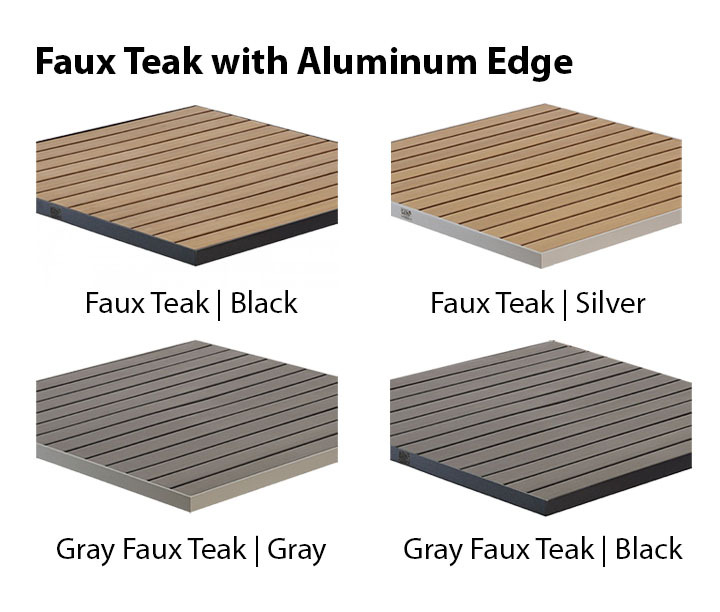 Featuring a beautiful faux teak top with solid aluminum edges that will accent any neutral color scheme. The table base includes a 2.5" diameter post made of durable aluminum and protected with a thorough powder coat finish that won't rust, rot, or chip. 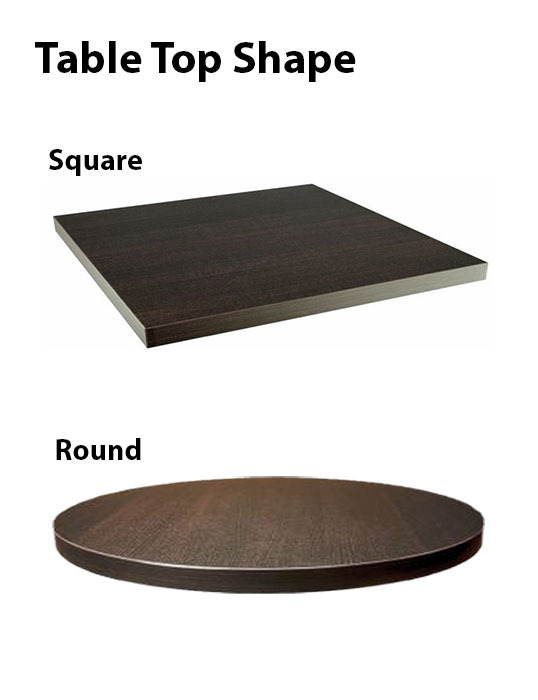 Choose the size and shape to suit your busy dining space. This restaurant table is supported by a 1-year commercial warranty. • Dimension: 24" x 24", 32" x 32", or 36" x 36"
Table Top Diameter 24" x 24", 32" x 32", or 36" x 36"